The earlobes are considered to be appendages of the ears, made up of a small amount of fatty tissue and soft skin. They give a “normal” appearance to the ears, and they serve the purpose of allowing women and men to wear earrings and other jewelry. The ears are most often pierced with a needle to allow for the posts of earrings to rest inside a tiny hole. 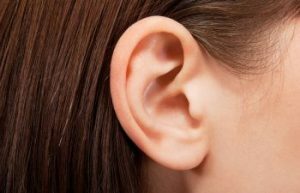 If an earlobe is torn due to heavy jewelry or trauma, the split can be painful and unattractive. 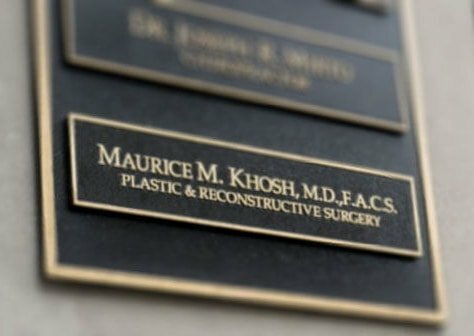 Dr. Maurice Khosh is a board certified facial plastic surgeon that is experienced in torn earlobe repair. This delicate procedure requires repairing damage and recreating the natural look of the earlobe. Due to the extremely soft skin and fatty tissue that make up the earlobe, precise and delicate plastic surgery is required. It is often necessary to allow the separate pieces of the torn earlobe to heal before they can be sewn back together because of the soft nature of the tissues. 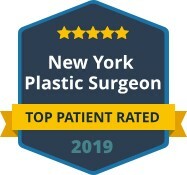 Once the procedure is given the green light, delicate surgical repair techniques can be done as an in-office procedure. A local anesthesia is applied to the ear, and once it is effectively numbing the earlobe the procedure begins. Fine suture threads are used to sew the earlobe back together. Depending on the size of the tear and the makeup of each individual earlobe, a straight line may be sewn or a zigzag line may be sewn to repair the earlobe. The most appropriate technique will always be used to support the surgical procedure and to minimize scarring. Patients are given an antibiotic ointment to apply to the area to promote healing and ward off infection, and the earlobe will be healed within a short amount of time. Patients are often relieved to learn that they can wear earrings again, but they must wait a minimum of eight weeks before having their ears pierced and only wear small studs for a few months. Heavy earrings should be avoided in the future due to the compromised strength of the soft tissues making up the earlobes. 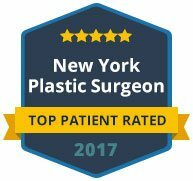 If you are in the Manhattan area and need torn earlobe repair, Dr. Maurice Khosh is the surgeon that you can trust. Dr. Khosh has the specific ability to repair ears back to their natural beauty and health. Contact us today to learn more about torn earlobe repair.